Herb fennel can be harvested as needed by cutting away the feathery foliage. If seed is desired, allow the plant to flower and when the flower heads turn brown the plant can be cut, place in a paper bag and hung in a cool, well-ventilated area to dry. Seeds will drop down into the bag and can then be cleaned and stored. Foliage can also be air dried and stored for later use. 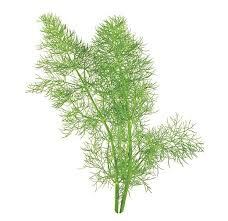 Herb fennel is used in fish dishes, soup and stews and fennel seed is used in sausage. Fennel bulbs are used raw in salads or steamed.